Comes with a Standard Mount plus an XL Conversion Kit that allows you to quickly switch between Standard and XL to fit virtually all smartphones on the market. Perfect if you're not sure which model to buy or plan to change phones soon. Phone is well protected by 3M-backed rubber pads and nothing contacts your phone's screen. Mounts on any standard tripod (1/4-20) and also stands on its own (tripod not included). Mounts on any standard tripod (1/4-20) and also stands on its own without a tripod (mini-tripod not included). Compatible with all Apple iPhones 3/4/4S/5/5C/5S/6/6 Plus/6S/6S Plus/7/7 Plus/8/8Plus/X, Samsung Note 2/3/4/5, Samsung Galaxy S3/S4/S5, Google Nexus 4/5/6/6P, Nokia Lumia, HTC, Motorola, LG and many other phones and phablets. 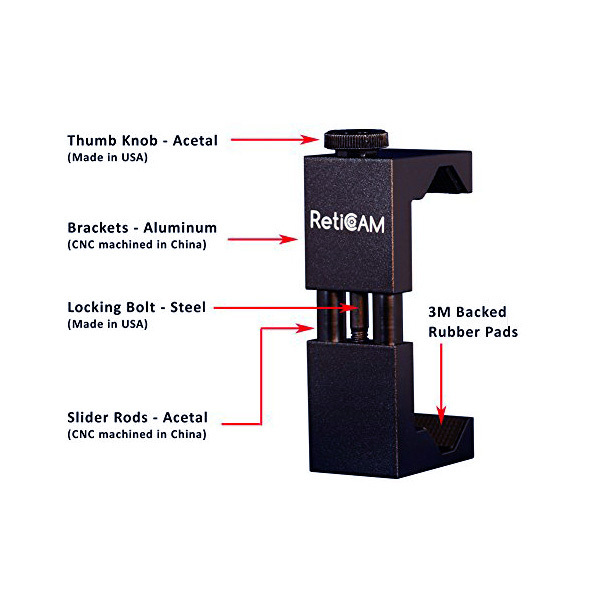 RetiCAM® Smartphone Tripod Mounts are precision CNC machined from solid aluminum and finished with hard anodizing for exceptional strength and rust/scratch resistance. We offer two versions: Standard Size and XL Size. The product on this page is a Standard Mount plus a conversion kit that can easily change from Standard size to XL size (and vice versa), and will fit nearly all smartphones on the market from 2.1" to 3.6" wide, with or without a case. May also work with phones slightly outside that range depending on their thickness. 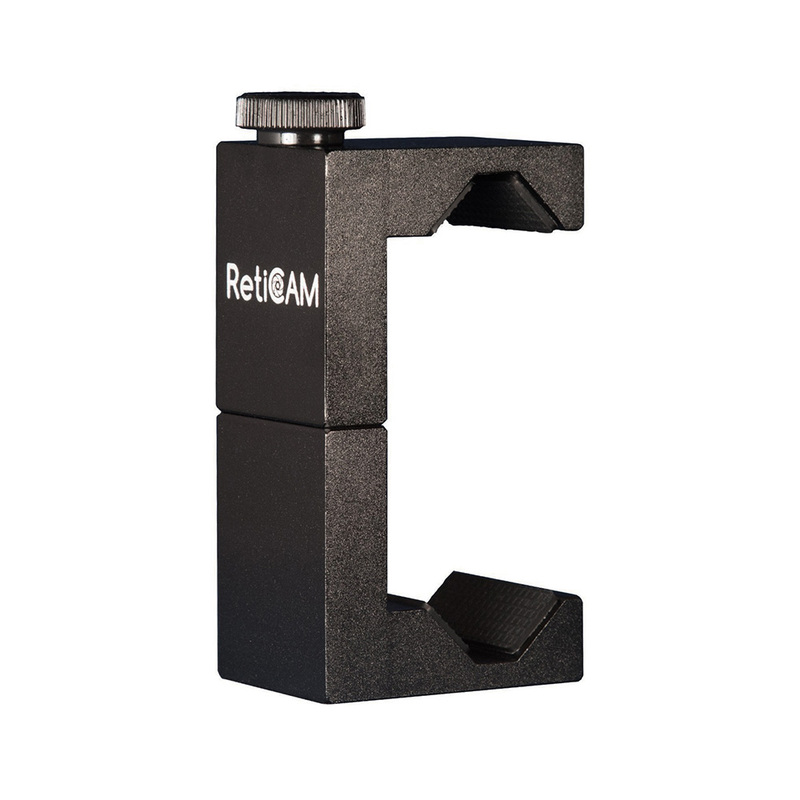 The RetiCAM cell phone holder can be attached to any standard tripod (1/4-20), and can secure your cell phone for photos, videos or being used as a webcam or car GPS. 3M-backed rubber pads protect your phone's edges, and nothing contacts your phone's screen. Our unique V-shaped groove also leaves space for edge buttons. Tripod not included. Compatible with all Apple iPhones 3/4/4S/5/5C/5S/6/6 Plus/6S/6S Plus, Samsung Note 2/3/4/5, Samsung Galaxy S3/S4/S5, Google Nexus 4/5/6, Nokia Lumia, HTC, Motorola, LG and many other phones and phablets. Top Rated: No. 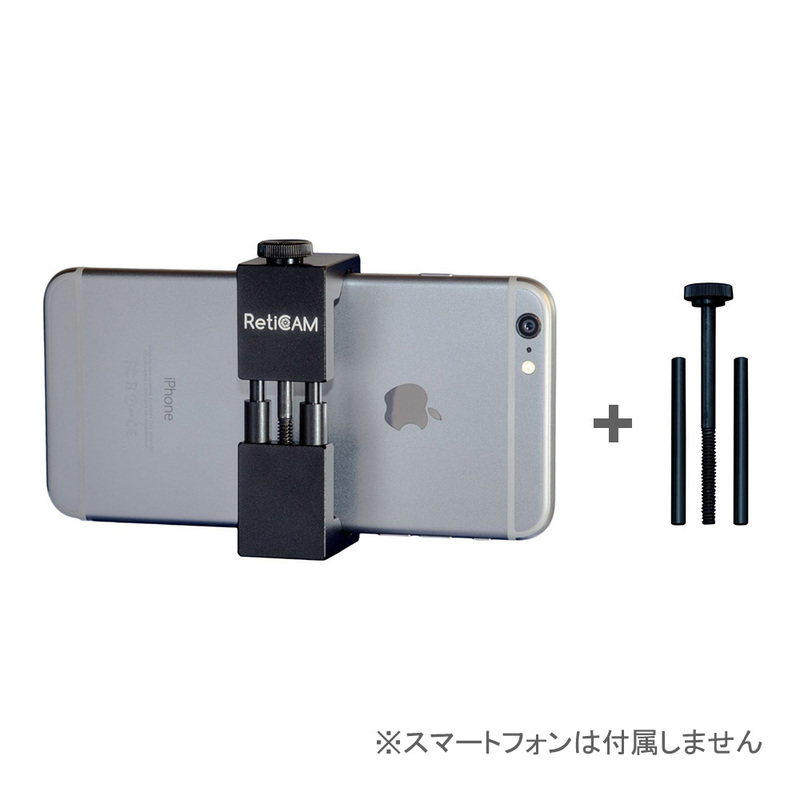 1 rated smart phone tripod mount in all Cell Phones & Accessories. - All Metal Design: CNC machined from solid 6061 aluminum, finished with sand blasting surface treatment and hard anodizing. Compact and Light Weight: 1.65"x1.06"x3.5"(LWH), 3oz. 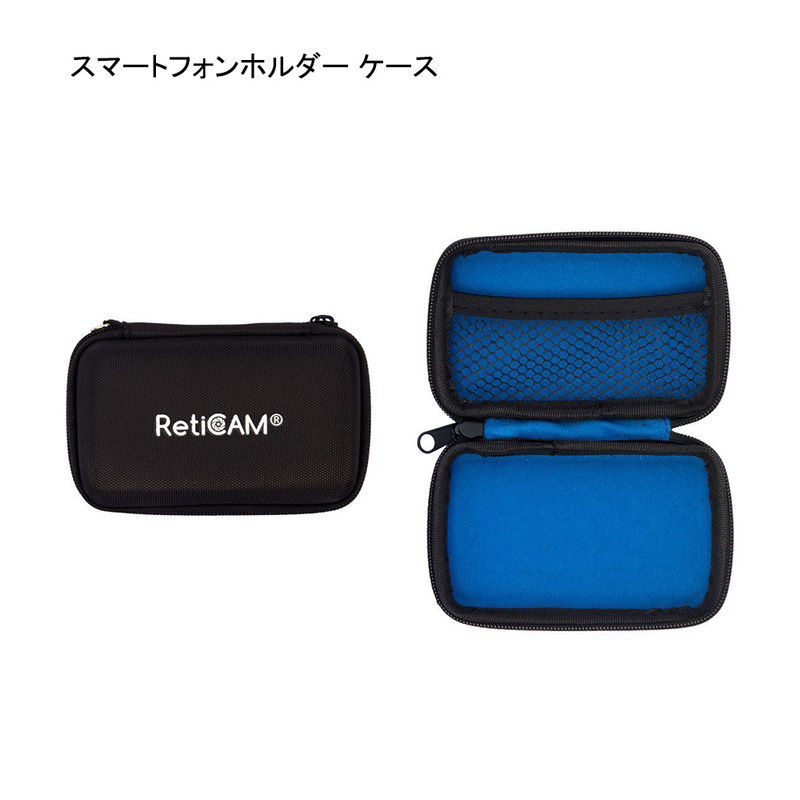 Universal: Holds any smart phone from 2.1" to 3.6" wide with the conversion kit, even with a case. Secure: Phone is locked in place with a steel bolt (not a spring!) and protected with textured rubber pads. Extra space for edge buttons. No physical contact with phone screen. Ease of Use: Just turn the knob, lock phone, and mount to any tripod. Satisfaction guaranteed!